The Northern Lights shine brighter than ever in Northern Exposure: The Complete Series! Available together on DVD in an exclusive collectible leather satchel, this must-own 26-disc anthology includes every episode from all six seasons of the groundbreaking Primetime Emmy Award- and Golden Globe-winning hit series. Join Dr. Joel Fleischman (Primetime Emmy Award nominee Rob Morrow), Maggie (Primetime Emmy Award nominee Janine Turner), Chris (Primetime Emmy Award nominee John Corbett) and the rest of the quirky and beloved residents of Cicely, Alaska, as they show how life in a small, arctic town can bring big laughs and heartwarming adventures. 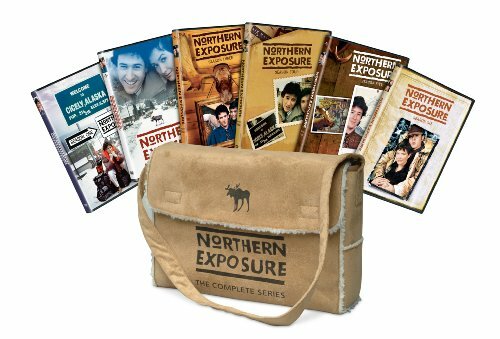 Northern Exposure: The Complete Series: take it home today and come in out of the cold! If you have any questions about this product by Universal Studios Home Entertainment, contact us by completing and submitting the form below. If you are looking for a specif part number, please include it with your message.